Bullies of the world, beware. That kid you're shoving into a locker and laughing at could grow up to be a famous actor with more money than you'll ever see in your life. Many celebrities have spoken out in various degrees of seriousness about bullying that they faced in the past and bullying they'd like to change in the present, like Will Weaton's heartwarming advice to a little girl who wanted to know how to deal with her own bullies. While he didn't go so far as to actually thank his bully, Andrew Garfield did admit that the bullying he faced as a boy gave him perspective on his career. Garfield described his negative experience as being less of the horrifically abusive kind and more of the general, easy target kind, but the same things that made him an easy target were the exact things that brought him to where he is today. "At the time, I was like, ‘Man I've got to toughen up, get a thicker skin,’" he said in an interview with The Guardian. "Whereas in fact, being sensitive and thin-skinned and all the things I still am, lends itself to a career as an actor." The bullying also helped him identify with Peter Parker on a deep level that shows in the sheer enthusiasm Garfield displays in portraying the character on the screen and off the screen for his younger fans. The story is particularly heartwarming not just because it adds to the list of bullying survivors who went on to bigger and better things, but because of the fact that it was staying true to himself that helped Garfield along in his career. 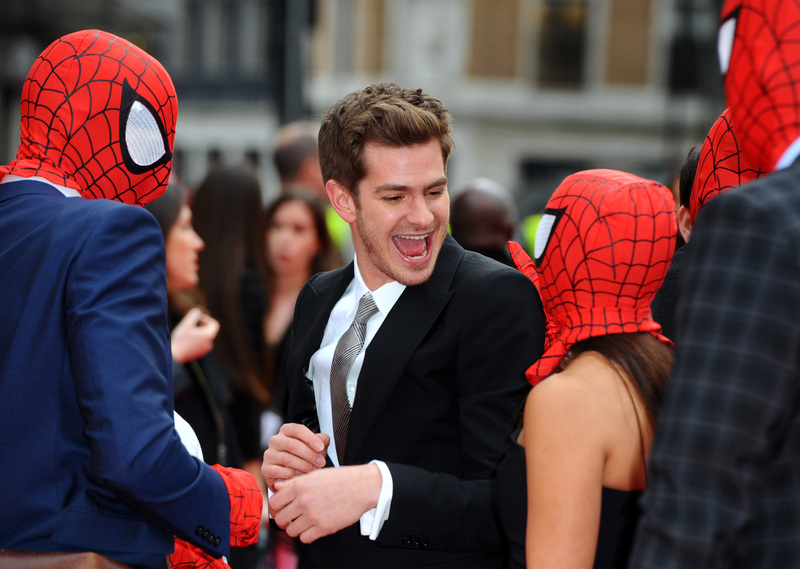 Well done, Andrew Garfield. Well done.